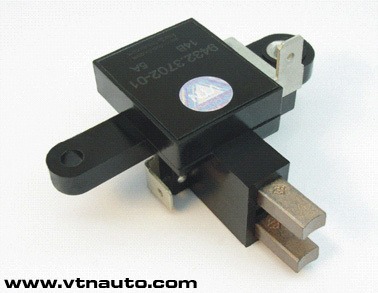 The voltage regulator 9432.3702-01 is purposed for voltage maintenance of the onboard vehicle network in predetermined limits in all system operation modes of electrical equipment at change of the rotation frequency of the alternator rotor, electrical load and environment temperature. Applicability: serially on automobiles "Daewoo Lanos" 1.4i, "Daewoo Sens", "Slavuta", "Tavria", 2004-2009 years of manufacture with the alternator 97T.3701. 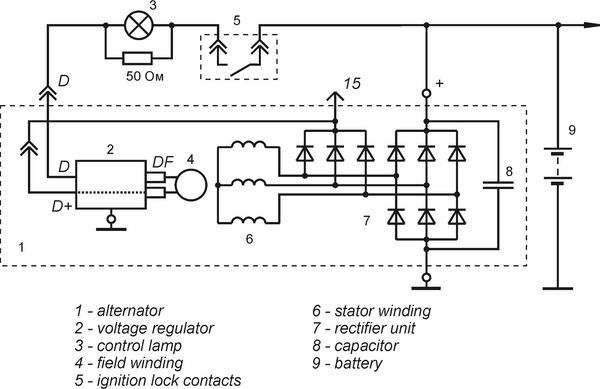 It is possible to apply the regulator composed of other alternators with analogical switching circuit and restrictive rectifier unit. It ensures optimal charging rate of modern (calcic) accumulator batteries, which require the increased voltage of the battery charge. The voltage regulator 9432.3702-01 is the regulator of a new generation. Due to usage of the modern powerful field-effect transistor as an output switch, the highest parameters of the current velocity characteristic are reached, the power losses are sharply lowered and the item reliability as a whole enlarged. 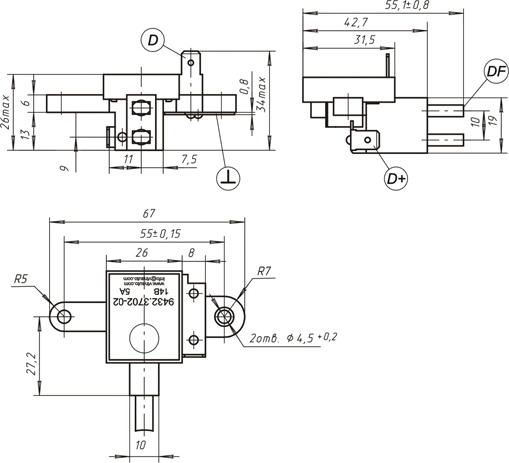 The regulators are produced in a single climatic design О2.1 in accordance with GOST 15150 for internal market and for export. On protection degree against penetration of foreign bodies and water, the items meet design IP68 in accordance with GOST 14254. An operating mode of the regulators is S1 in accordance with GOST 3940. The warranty period of exploitation is 3 years from the date of commissioning or from the date of sale in retail commercial network. The warranty obligations of the manufacturer are valid during 4 years from the date of the item production. The date of production is marked on the case of the items.